"Name a school story that engages with its historical context in a compelling or unexpected way." I bought it as an unstretched and unframed canvas on ebay from a man in Glasgow. I think it was some time in 2001. He said he had picked it up at a market and had no idea where it came from. I got it mounted and framed, and hung it on my wall. Now, as you guys are a particularly savvy bunch, you have probably already recognised it as a copy of this painting - Room in New York by Edward Hopper from 1932. 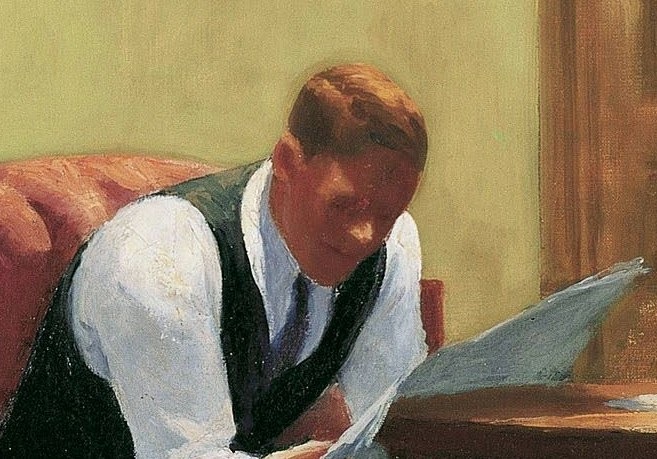 I’m afraid I didn’t realise the connection until 2004 when I went to Hopper’s retrospective at the Tate. As I walked through the galleries, I thought, 'God these remind me of that painting at home'. The original wasn’t on display but I flicked through the Taschen book in the giftshop, and there it was. I can only assume that my version was painted by an artist who was studying Hopper, and so he copied the picture to understand better the techniques involved. It reminds me of those artists one sees in all the major galleries making copies of the images on display. It makes me think about artists of all sorts learning their craft through exercises in imitation. The characters in Paris Winter spent much of their early years of study copying other artworks, and I know when I read things I love, trying to imitate the cadence of that writing in my own mind is part of my learning process. But it's not a direct copy. The faces in my version are more stylised, the paint is not applied with Hopper's smoothness - in mine the darkness behind is breaking through. 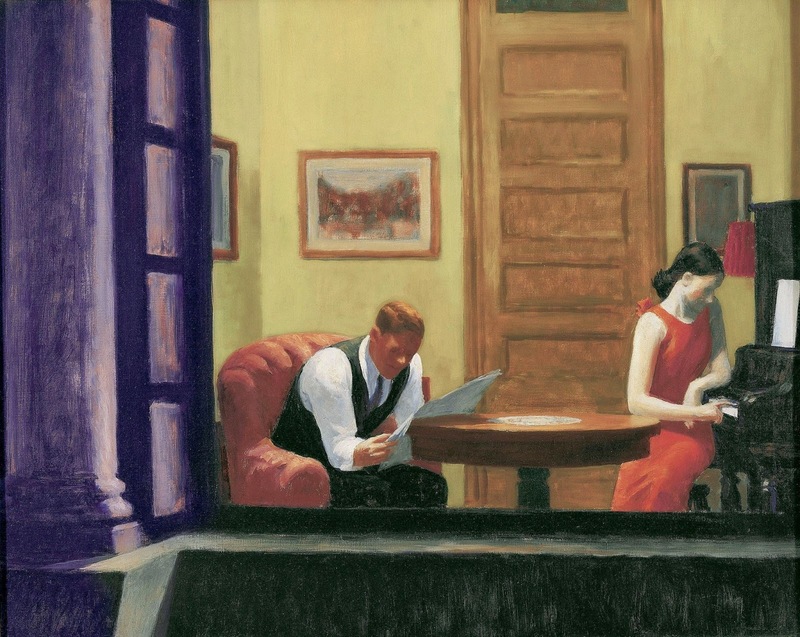 Though the colours are close, they are different - warmer in Hopper's original. My artist has followed those three patches of vivd red, but they have completely changed the colours in the picture hanging on the wall above the man's head. Why did the artist decide to change that, of all things? I wish I knew who he or she was and could ask. Perhaps they just did the picture for fun, or as a gift for a friend who really liked Hopper. Perhaps the feeling of isolation and voyeurism in the original attracted them, though the style of painting did not. I can’t say. 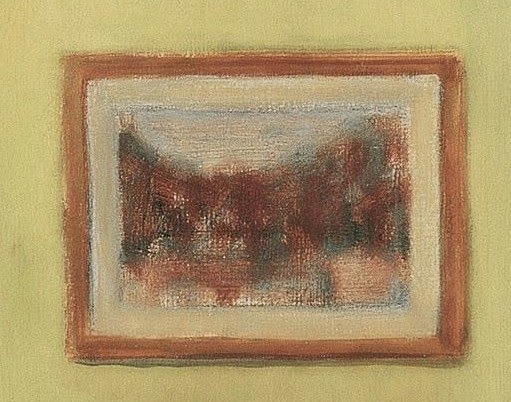 My version has no signature or other identifying mark I can find. So it remains a curiosity, an item that provokes questions rather than provides answers, so I offer it for inclusion in our online cabinet. If anyone has any further thoughts or insights, I’d be really pleased to hear them. This month's guest is Trilby Kent, who has visited us before. 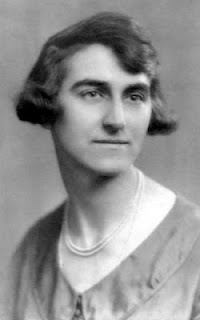 Trilby Kent is a novelist, children’s author and journalist. 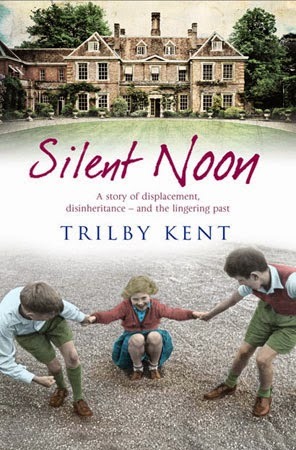 She read History at Oxford University and completed a MSc in Social Anthropology at the LSE; Silent Noon was written as part of a PhD project that was completed in 2013, from which this post is partially extracted. She has previously contributed to The History Girls on the subject of writing race in children’s fiction; her Young Adult novel, Stones for my Father, went on to win the TD Canadian Children’s Literature Prize and the Africana Book Award in 2012. September 1953. Fourteen-year-old Barney Holland is promised a fresh start when he is offered a place at a boarding school on the remote North Sea island of Lindsey. Instead, he is shunned by his peers both for his status as a charity pupil and for being the replacement of a recently deceased student, the popular Cray. The arrival of Belinda Flood, a housemaster’s daughter stigmatized by her expulsion from another school, provides Barney with an unexpected ally. Both outsiders soon fall under the influence of charismatic senior pupil Ivor Morrell, who reigns over the forbidden corners of the school. A gruesome find and the friendship with a local woman rumoured to have been a wartime collaborator draw the three into an increasingly dangerous web of personal and social shame. Gripped by mounting horror at his discovery of secrets harboured by the isolated school community, Barney personifies the struggle of a young peacetime generation finding its way out of the shadow of war. “The past that’s not past yet” (a wonderful phrase coined by Damon Galgut) is a major theme of Silent Noon, which features schoolmasters living with the memory of war and schoolboys who have inherited its legacies, both proud and shameful. Having previously written novels set at the turn of the last century and in the 1930s, I had some experience of evoking historical periods poised on the brink of calamity. Writing a novel set during the post-war years offered a new challenge, for the great drama of the age already lay behind my characters, in the recent past. My fear of slipping into nostalgia for the 1950s and school stories of that period was slightly abated by the fact that the book is, in some ways, not about the 1950s at all, but rather about the way in which the 1940s lingered, and the 1960s failed to arrive quickly enough. Furthermore, the fact that ‘my’ islands – Lindsey and St Just – are entirely fictitious allowed me a certain freedom. I was able to identify a moment when Britain and its allies had been victorious in a war fought to defend its borders and beliefs, but which was followed by an anti-climactic unease and sense of isolation in the world, as well as a reversion to conservatism, fears about an uncertain future, and shortages of resources. Today, still, we face an energy crisis, grapple with concerns about international terrorism and war, fear North Korean nuclear tests, bemoan unsocial youth, warily eye China as a rising superpower, and partake in the steady rise of consumer culture. As Guernsey and Jersey felt too small to reinvent for the purposes of my novel, and their wartime stories too familiar, I opted to create a landscape from scratch. In constructing Lindsey Island, I borrowed several elements from the Scottish outpost of St Kilda – the crofts and screes, the outbreaks of infantile tetanus, the Chimney and use of gannets’ stomachs as containers – as well as the awkward position it occupied in the context of wider historical events. 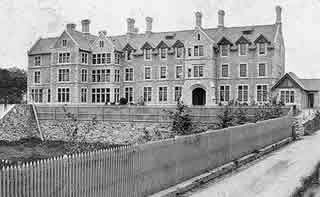 I also researched the histories of two major Channel Island boarding schools to better understand their uses as physical spaces during and after the war. Ms. 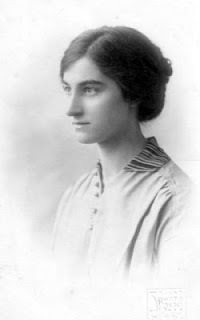 Dot Carruthers of Elizabeth College was able to fill in the fate of the buildings during the school’s exile to Derbyshire, while Mr. Ricky Allen of Priaulx Library expanded on the college’s use by the Feldkommandantur 515 (Guernsey branch). This was where civil government was administered, affecting everything from occupation costs and price control to police, education, and health services. 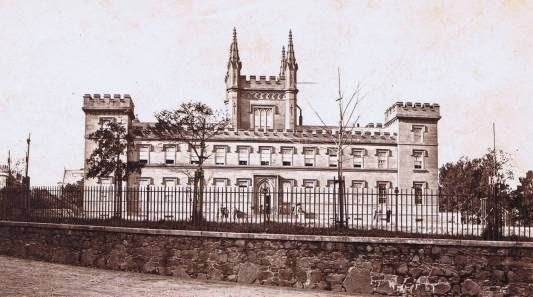 It was also used as a timber lot; as Mr. Allen was able to quote from J. C. Sauvary’s ‘Diary of the German Occupation of Guernsey’: “Today I had to go to Elizabeth College to see Inspector Hannibal for a permit for coffin material” and “I went to Elizabeth College again yesterday, for a permit for timber. It is heartbreaking to see the old College”. Victoria College, too, was requisitioned to house a contingent of Hitler Youth, but not before masters and boys removed the honours boards and pictures from the Hall and boarded off the library. The 1930-56 college register records that a number of English-born masters and pupils were deported to Germany (“among them Mr. Kennett, Mr. Williams, and Crumpton (the College Porter)”), although their fates are not recorded. Silent Noon was never intended to be a ‘big’ novel, but rather a tightly controlled story about a small group of people in a closed institution. I hope that, although ‘big history’ is touched on, the thrust of the story remains about the young people at its centre trying to find their way out of the shadow of war, and not about war itself. The Carding House School is haunted not only by a recent student death but also by its war history; similarly, the misdirected rage of Barney, Belinda and Ivor is symptomatic of a disenfranchised generation suspended between a glorious past they can’t remember and an uncertain future they can’t envisage. In this respect, the setting is crucial: isolated from the fields of battle, yet tarnished by memories of a shameful occupation, Lindsey Island is suspended between victimhood and collusion, honour and despair. It sits awkwardly on the fringes of Britain, forgotten in its ‘finest hour’. It rejects a standardized history. Like a teenager, it sulks, it dwells, and it guards its secrets jealously. I always knew how I wanted the book to end: with an explosion, with a last-minute revelation, and with a freezing of time at the school’s sports day. In Silent Noon, I wanted to resolve with an ending-that-isn’t and a sense of Barney walking away from a specific moment and place while realising that these things – the here and now – would haunt him for the rest of his life. As such, his story concludes with a paen both to the end of his school days and to the complex era in which he comes of age – a past that is certainly not past, yet. Mary’s medal, front and back. Mary later in life, with her hair still bobbed. 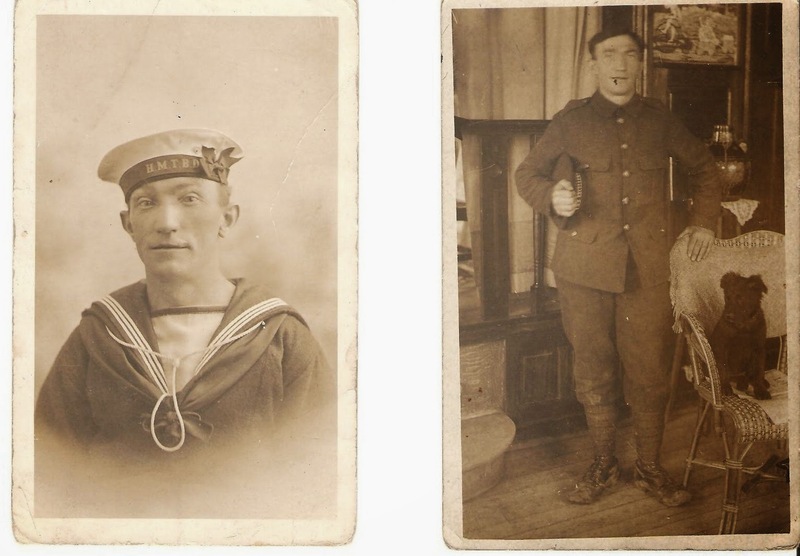 Our grandfather Bill lost an arm at Zeebrugge in 1918. He was a second lieutenant on guns during the attack on the Mole, where HMS Vindictive was held in place against the quay by the Daffodil and the Iris (!) bombarding and distracting the considerable German defences long enough for three hulks full of concrete to be sunk in the Zeebrugge Canal to prevent German submarines coming out and harrying shipping in the English Channel. This was an extremely dangerous and controversial excursion: unmarried men were chosen. Leading a landing party against the German gun placements was our other grandfather, Bryan Adams. Small world. Bryan it was who ordered Bill below when he was wounded; Bill confessed that he responded with shocking language. They didn't meet again till thirty years later, when their offspring introduced them. And here is Bryan, many years later. 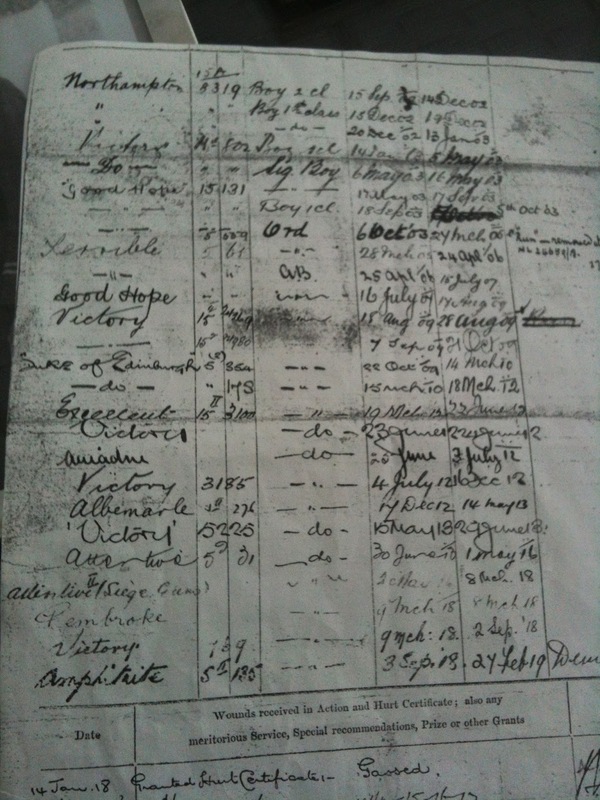 and here is his naval record: twenty years at sea. Alongside the photographs she showed two strips of worn and faded naval gold braid. Her father, she said, had helped a junior officer whose arm had been badly wounded. His sleeve had to be cut away for the wound to be attended to; Jack Crowley was holding it, and said 'What should I do with it?' The medic said, keep it, as a souvenir. 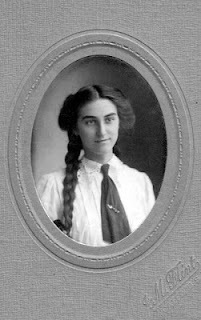 Jack didn't keep the sleeve, which would have been bloodstained and shredded, but he unpicked the braid and kept it, and his wife and his daughter kept it, and unless there was another second-lieutenant in guns on the Vindictive that night in November 1918 who lost his right arm, then that was our grandfather's braid, there on the TV, spotted by a man in Australia. He was born in 1885, in Bath, Somerset. The family had come over from Cork, Ireland, during the Famine. 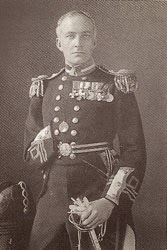 At the age of 17, he joined the Royal Navy in 1902. he went in as a Boy, 2nd Class, and by 1914 he was Able Seaman. He was known to friends and family as Jack. 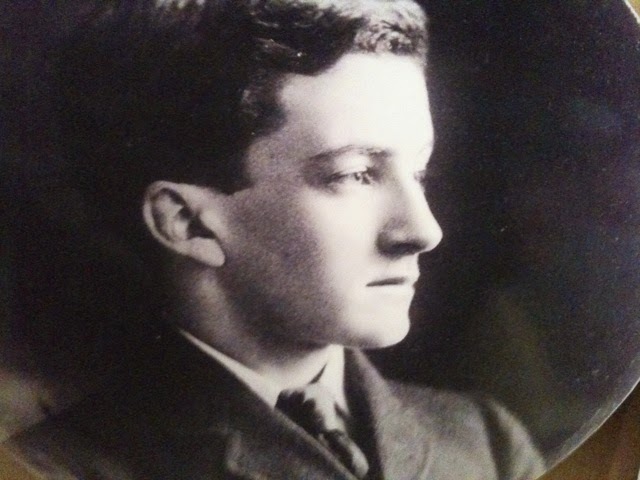 He worked on the Railway, and arrived in the Swansea Valley, in the 1920`s after the war.He met and married my Mother, Gladys, in 1927. I was born in 1929, and my brother in 1932. His health was very poor due to being gassed whilst serving with the Naval Guns in Belgium. He died in 1939 of a lung condition. It was after his death that we found out about the incident in Zeebrugge, though he had mentioned briefly, and had referred to the officer being Hilton Young. The British Legion gave us more detail about the incident. My mother always used to say that Jack had saved someone's life . 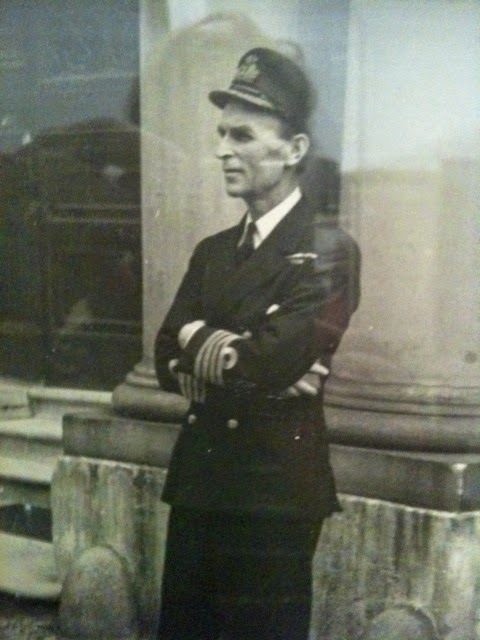 I found his naval records in the archives and it appears he served on several different ships. He visited South America, South Africa and even China. I found the braid amongst my mother`s possessions after she died in 1979, and remembered the story. We made arrangements. On my way back from the Hay Festival this weekend, where I had been talking about my World War One novel The Heroes' Welcome - which deals specifically with coming back from war, with wounds and recovery - I stopped in at Cardiff to meet Phyll and Elaine. Here we are, with our ancestors. Bill, Elaine, Phyll, Jack and me. The medals are Jack's, behind them is the braid. Phyll conducted a small ceremony, in which the braid was formally given from grand-daughter to grand-daughter. We took photos, and I made a sound recording of it on my phone for my mother, who is 91. I would be lying if I said there were no tears, or that some of them weren't mine. No-one is alive now to give a detailed account of exactly what happened amidst the guns and noise and terror and courage of that night, but that sailor with his lovely Buster Keaton face, father and grandfather to these lovely women with their faces so like his, helped our grandfather when he needed it. So we were all happy. And here is the braid. Ninety five years later. I've brought it home, and I'm taking it round to my mum. Thank you, Phyll and Elaine. Thank you, Jack Crowley. There’s a small corner of the Western Cape that could pass for being part of the Mediterranean. I grew up here with the sweet smell of figs and sticky pine-nut sap on my hands. Two huge old stone pines stood at the bottom of my road and as a child I painstakingly spent hours chopping the hard kernels against stones to get at tiny morsels of sweet nut. I grew up with the scent of hot sun on tomatoes, on the leaves of rose geraniums and on clipped cypresses, with oleanders whose flowers seemed deadlier by moonlight and long ropes of wisteria and grape vines dripping from pergolas. It could have been the Mediterranean … but it wasn’t. Then when I was fifteen I read a book that transported me to the real Mediterranean where lemons and olive trees grew along terraces and houses were surrounded not just by stone pines but by towering, almost black cypresses and ancient amphora. The book was The Story of San Michele and even the Swedish author’s name, Axel Munthe, was enough to transport me into a reverie of sunlight on lemon terraces, where a peasant girl just my age called Gioia, with lips as red as her coral necklace, was kissed by the eighteen year old Munthe, as she showed him up the mountain to the village piazza of Capri. But she refused to climb further and left him outside the church of St Stefano. 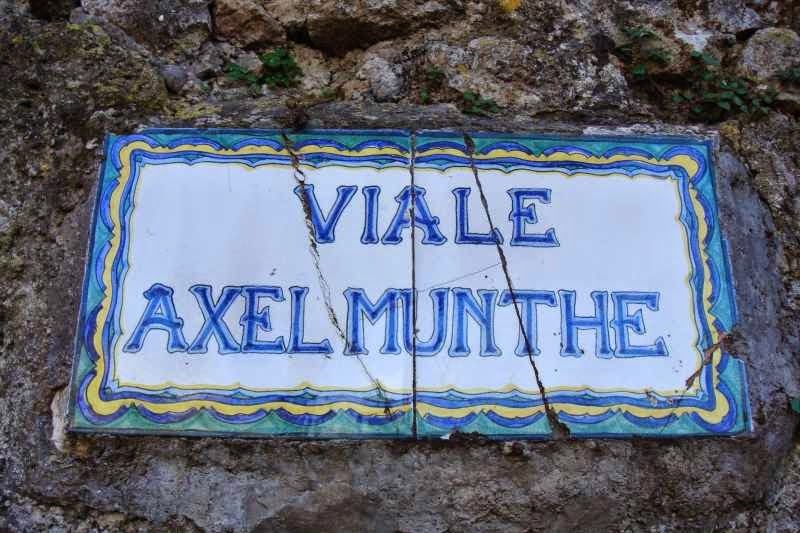 Munthe goes on: ‘I sprang up the Phoenician steps to Anacapri. Half-way up I overtook an old woman with a huge basket full of oranges on her head. She put down her basket and handed me an orange. Just over our heads, riveted to the steep rock like an eagle's nest, stood a little ruined chapel. Its vaulted roof had fallen in, but huge blocks of masonry shaped into an unknown pattern of symmetrical network, still supported its crumbling walls. "What is the name of the little chapel?" I asked. In the vineyard below the chapel an old man was digging furrows in the soil for new vines. The vineyard was his and so was the little house close by. 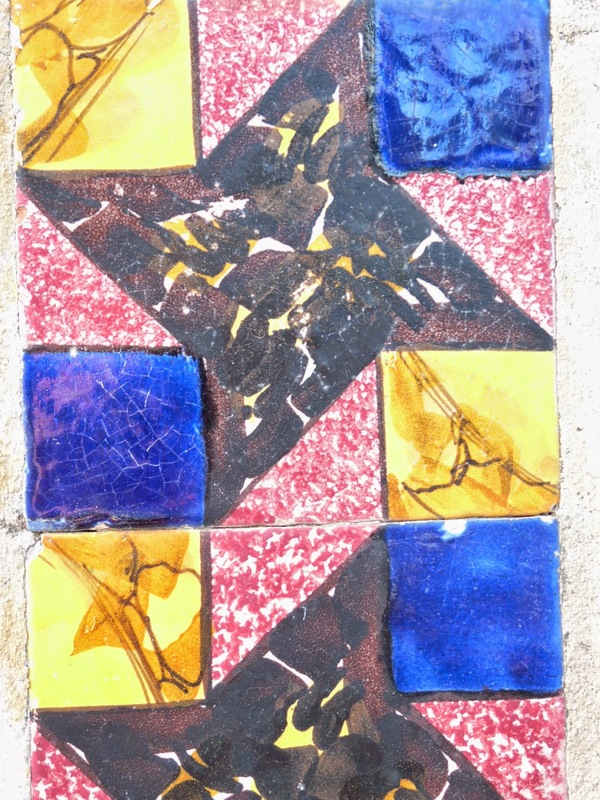 He had built it mostly with stones and bricks of the Roba di Timberio that was strewn all over the garden. As a girl of fifteen I take bits and pieces of the book on board. It jumps about as if the author can never be still. An Italian dictionary might have helped but I have a smattering of Latin that gets me through. I fathom that cacciacavallo means ‘cheese on horseback’ but what exactly is ‘cheese on horseback’? And did Munthe truly see a sphinx in his dream? The Villa of San Michele as it stands today with its stone pines and oleanders. Last week I walked down the loggia of Villa San Michele, past the chapel and saw his sphinx. It sat looking out over Capri, face hidden from view, carved in Egypt, transported to Italy by one of the Caesars ... perhaps by Julius as a gift from Cleopatra ... perhaps by Tiberius who built his summer home on the foundation of San Michele, but most likely by Nero who built a villa in Calabria on the mainland, beneath whose ruins Munthe saw the sphinx, in a dream. Decades later he recovered the sculpture and transported it up the 777 Phoenicians steps and placed it on a wall jutting out from the San Michele chapel. 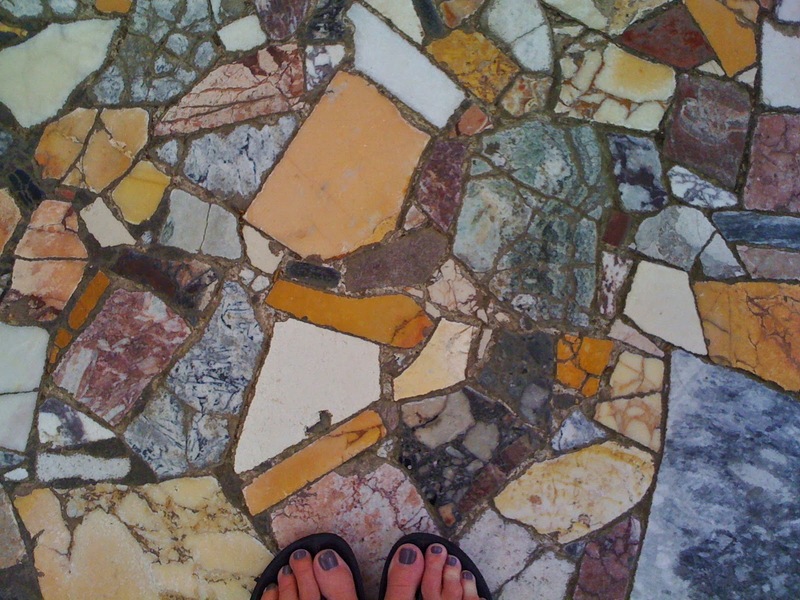 I stroll through the open courtyards of the Villa where terrazzo floors are almost identical to those left behind across the bay in Pompeii. But it’s impossible to write of Mediterranean gardens, without mentioning another garden high above the sea at Ravello. The Villa Cimbrone stands on a treed rocky outcrop from which it got its name – Cimbronium – the Roman word for a wood or forest used for building ships. The earliest references to the villa date back to the eleventh century AD, when the villa belonged to the Accongiogioco family. Earnest William Beckett visited the villa during his travels in Italy and fell in love with it. 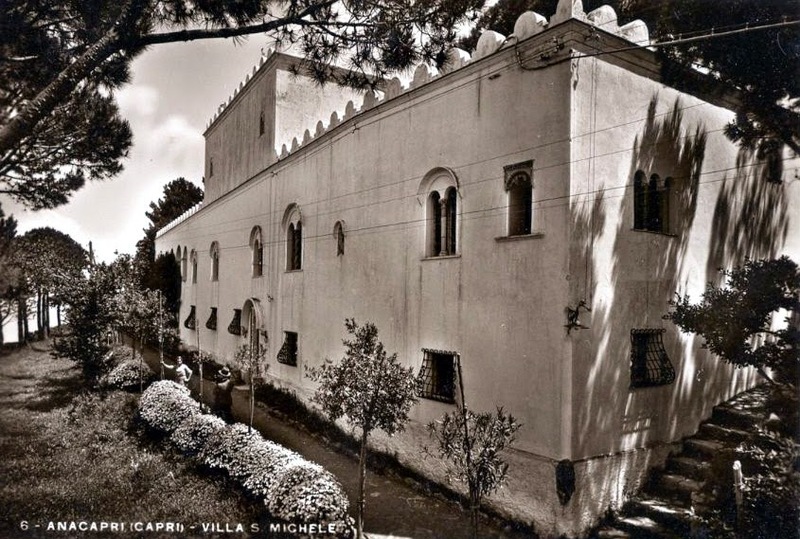 He bought it from the Amici family in 1904, and with the help of Nicola Mansi, a tailor-barber-builder from Ravello restored and enlarged the villa and garden and its battlements, terraces and cloisters in a mixture of mock-Gothic, Moorish and Venetian architectural style. The original layout of the Italianate garden was kept, but a strong influence of the English landscape gardeners, Edwin Luytens and Gertrude Jekyll can be felt. Villa Cimbrone became a favourite haunt of the Bloombury group, and guests included Virginia Woolf, E.M. Forster, John Maynard Keyes and Lytton Strachey. Other visitors were D. H. Lawrence, Vita Sackville West, Diana Mosley, Henry Moore, T. S. Elliot, Winston Churchill and Great Garbo with her lover, the conductor, Leopold Stokowski. I visit in a quiet time between seasons when the wisteria has finished flowering and the first flush of roses is over and the hydrangea are not yet in bloom. But without the distraction of colour, the garden shows its bones and its tracery of veins. The villa is reached on foot via many steps from the Ravello piazza and the garden is strung out all along the cliff high above the sea. Immmediately beyond the 16th century entrance, is the cloister with its graceful little courtyard in Moorish-Norman style. This leads along an avenue that takes you to the Belvedere and the Terrazzo dell'lnfinito, lined with marble busts. The Seat of Mercury overlooking the terraces, is an 18th century bronze copy of ‘Hermes at rest’. The original is on display at the national museum in Naples. The Hortensia Avenue with it wrought iron well at one end and pergola supported by substantial round terracotta columns, shows renaissance references and inspiration of the Medici villas. Through a meandering clipped box hedge is the bronze statue of David, produced by the Neapolitan sculptor Gioacchino Varlese, in imitation of the one by Verrocchio in Florence. 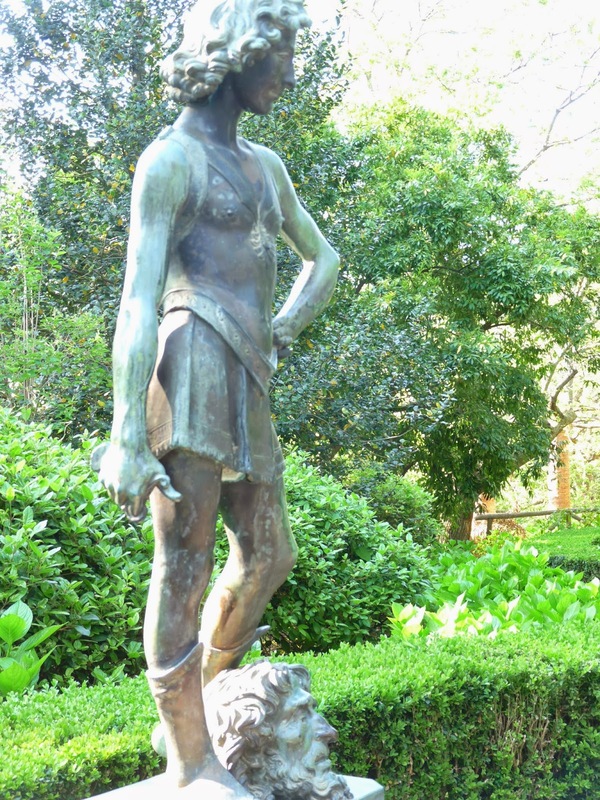 And in the rose garden the wrestler, Greucante. Visit late in the afternoon when the tourists have left and the light is sublime, and the views that drop down to the steep terraces below, spectacular. From these gardens, caught midway in taking off my hat, I say goodbye to the History Girls. It's been wonderful being part of this group. But just because I'm not writing won't mean I'm not following.